360+ songs with lyrics, sheet music, historical notes & glossary. No. 44. O, saw ye bonie Lesley ? Tune! 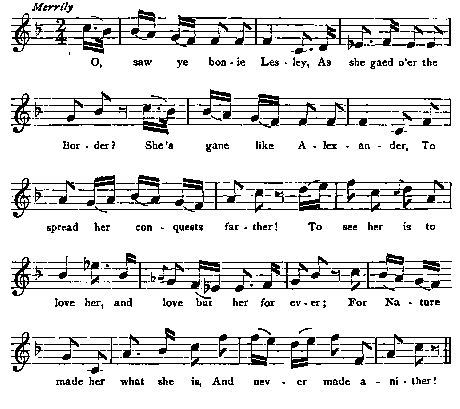 The Colliers bon'e lassie Thomson's Scotish Airs, 1798, No. 33.